I realize that most of the people who read this blog don’t play video games, so this post will be ignored by nearly everyone in the universe. I accept this. You see, there are sometimes truths so obvious and self-evident that they must be stated—nay, shouted from the rooftops!—regardless of whether anyone listens. I may be only a voice crying in the wilderness, unheard and unheeded, yet this must be known: Someone needs to make a Metal Gear Solid movie. How can I describe the Metal Gear Solid series? 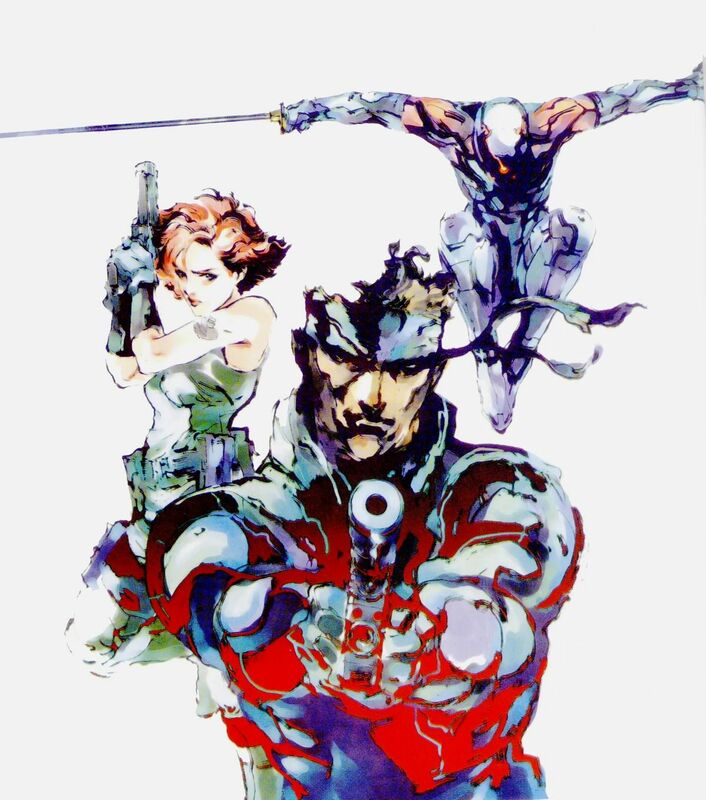 If someone blended Tom Clancy’s Cold War thrillers, the James Bond movies, some Batman and X-Men comics, and all of Quentin Tarantino’s films, Metal Gear Solid would be the stylish, complex, campy, violent, and weird-as-all-heck result. Released in the late nineties for the PlayStation, the first Metal Gear Solid follows Solid Snake as he infiltrates a nuclear weapons facility on a remote Alaskan island known as Shadow Moses. The facility has been seized by FOXHOUND: an elite unit of the US military that has gone rogue, taken two high-profile hostages, and acquired a weapon called Metal Gear REX. This superweapon, a bipedal tank armed with nuclear warheads, is now in the bloodstained hands of terrorists. Snake’s orders are to rescue the hostages and neutralize the Metal Gear before FOXHOUND can carry out its threats of nuclear reprisal. Metal Gear Solid could make a terrific movie. In my last post, I discussed three pitfalls in adapting video games into movies. First, many games lack a strong story; second, too many filmmakers make films that appeal only to people who play games; third, the cyclical structure of most video games can’t be compressed into movies. Metal Gear Solid can easily dodge all of these problems. The game has a strong story, complete with a highly cinematic presentation. (The game’s director, Hideo Kojima, is a film aficionado whose tagline on Twitter reads: “70% of my body is made of movies.”) The game’s plot requires little backstory or gaming knowledge, and can be easily revised to require none. Finally, while Metal Gear Solid only slightly follows the ubiquitous looping structure of video games. A few edits to the story would yield a focused narrative that lends itself beautifully to film. What should be cut? The two hostages taken by FOXHOUND could be reduced to one. Several characters—FOXHOUND member Vulcan Raven and cyborg Gray Fox, among others—could be removed. The plot could be streamlined by leaving out the less interesting parts of Snake’s mission from the original game. One or two action scenes could be omitted, and the others rearranged for the sake of pacing. Finally, the villain’s angsty monologues (which are silly even in the game) could be extremely abridged. What should be kept? I recommend abbreviating the story’s action-packed climax, keeping Snake’s epic battle against the Metal Gear and subsequent fistfight with the villain, but leaving out the vehicle chase. I also suggest keeping the character of Psycho Mantis, a member of FOXHOUND. This deranged psychic isn’t essential to the plot, yet remains one of the most iconic elements of the story. He is the kind of villain who peers into the flawed hero’s soul and pronounces judgment on him. In the hands of a good writer, Mr. Mantis could contribute a lot to the film’s mood and characterization. Whatever else is kept for a film adaptation, Snake must, at some point, outsmart his enemies by hiding under a cardboard box. In a perfect world, the Metal Gear Solid film would be written by David Hayter: the screenplay writer whose credits include X-Men and its sequel X2—and also, by glorious coincidence, the actor who voiced Solid Snake in the Metal Gear Solid games. Mr. Hayter actually wrote a treatment for a Metal Gear Solid movie, but it was rejected. Ours is truly a broken world. My top picks to direct a Metal Gear Solid film are J.J. Abrams and Jon Favreau, but I would settle cheerfully for any competent action movie director. (The worst potential directors are Michael Bay and Uwe Boll; they should never direct a Metal Gear Solid movie… or any movie, honestly.) The obvious choice for the film’s composer is Harry Gregson-Williams, who wrote much of the score for the Metal Gear Solid games. The casting for Solid Snake is of utmost importance; I consider it no exaggeration to say a Metal Gear Solid movie would be made or broken by Snake. His actor must appear as tough, determined, and dangerous as any action hero. However, that action-movie persona must be accompanied by two things: first, a dry sense of humor; second, an attitude of philosophical resignation—a weary resignation to the fact that he is nothing more than a pawn in the hands of authorities no less corrupt than his enemies. If Solid Snake is played as merely an action hero, the movie is lost. He is more than that, and also less. Appropriately to the title, he is a gear in the vast, impersonal machines of warfare and politics. He doesn’t make the rules or choose his morality. His mission is to do what he is told. Snake’s tired acceptance of his fate, along with an irrepressible vein of humor, are what make him such an interesting character. I think Hugh Jackman would make an excellent Solid Snake. My other casting picks are Kevin Spacy as Roy Cambell, Snake’s commanding officer; Scarlett Johansson as Meryl Silverburgh, Cambell’s niece stationed on Shadow Moses; Alan Tudyk as Hal “Otacon” Emmerich, the nerdy designer of the Metal Gear weapon; Tom Hiddleston as Liquid Snake, the leader of FOXHOUND; Willem Dafoe as Psycho Mantis, a FOXHOUND member and homicidal psychic; Anne Hathaway as Sniper Wolf, another FOXHOUND member and expert sniper; and Jeff Bridges as Revolver Ocelot, Liquid Snake’s enigmatic ally. Besides being a film fanatic, Hideo Kojima has a staggering ego, so he could cameo as an enemy soldier or something. There have been persistent rumors of a Metal Gear Solid movie for years, but nothing is certain. This is a movie that needs to be made. Please make it happen, Hollywood. 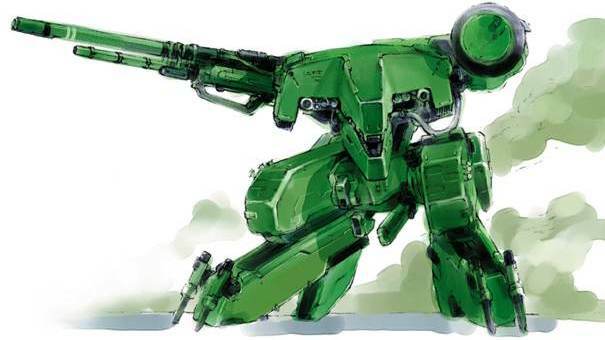 This entry was posted in TV & Movies, Video Games and tagged geeky, Metal Gear Solid by Adam Stück. Bookmark the permalink.